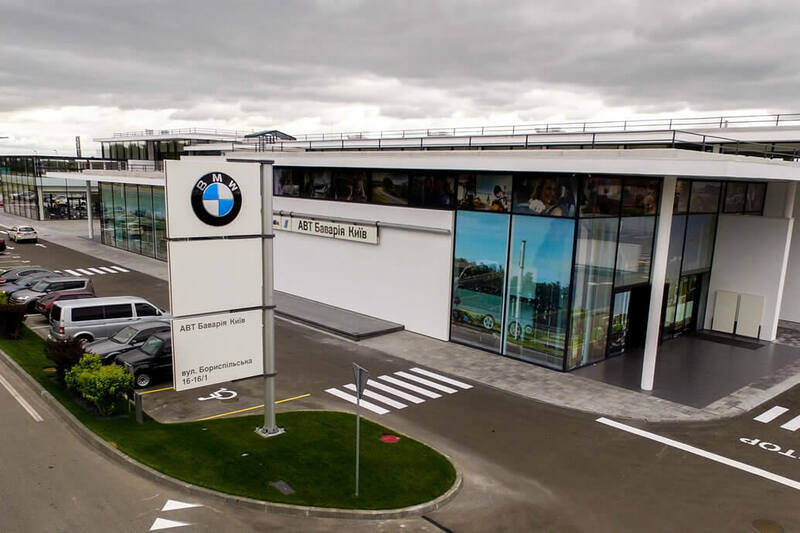 AWT Bavaria, the official dealer for BMW, Mini and Rolls-Royce in the Ukraine opened its largest East European trade and exhibition centre near Kiev’s International Airport Borispol. With a total area of nearly 8,000 square meters, the new facility is featuring two showrooms, a high-tech training complex, an import and a service centre, storage space and the headquarters of AWT Bavaria. Particular attention was paid to the energy-efficient concept of the BMW showrooms, the appealing and functional architecture, and last but not least, the deadlines and costs. With respect to the development of the BMW electric cars in the Ukraine and the world, AWT Bavaria set up 12 charging stations on the site. The new Importer-Dealer Center will provide a full range of services. The Fire Alarm Control Panel SecuriFire 3000 forms the heart of the safety solution at BMW. Securiton’s failsafe detection system is not only detecting fire at an early stage but also controlling and monitoring the voice evacuation system, the automatic sprinkler system and the smoke curtains. The integrated and comprehensive state of the art solution by Securiton confirms the highest level of the fire safety for BMW in the Ukraine.